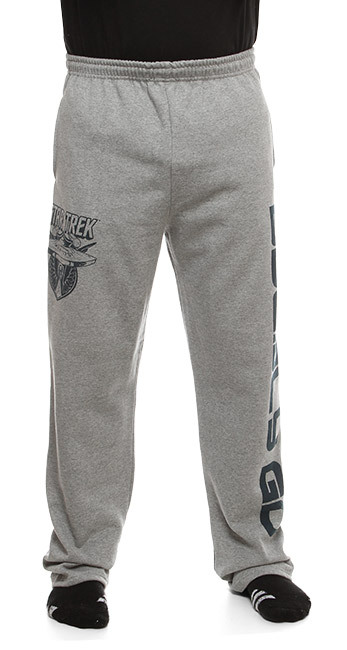 These Star Trek Boldly Go Sweatpants look great and are sure to be comfy, whether you are laying around the house or working out. 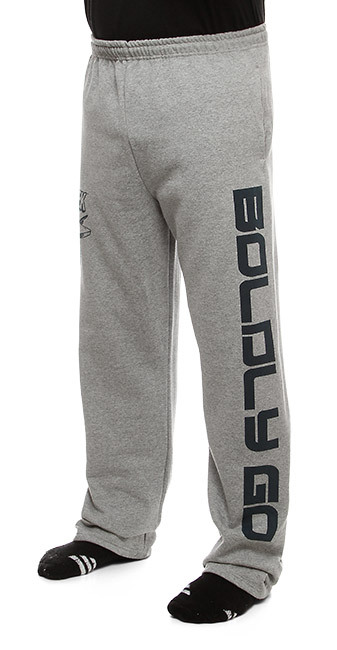 They have an elastic waistband with interior drawstring. 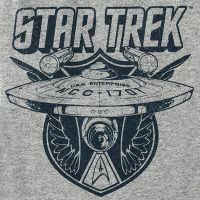 The color is heather grey and they are made of 60% cotton and 40% polyester. 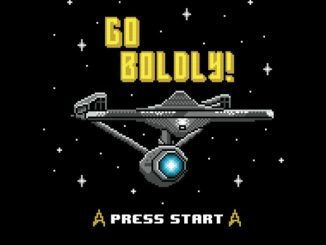 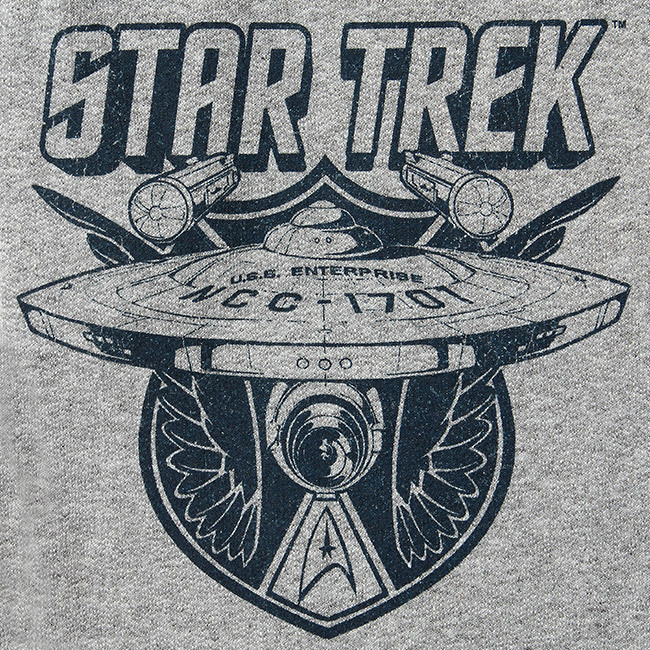 They feature the words “Boldly Go” down the left leg and the Enterprise Star Trek logo on the right leg in navy blue. 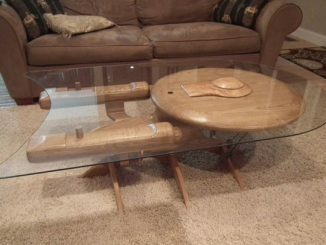 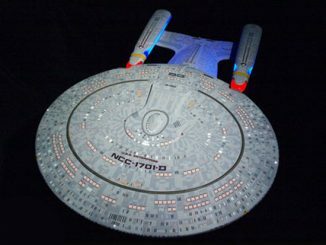 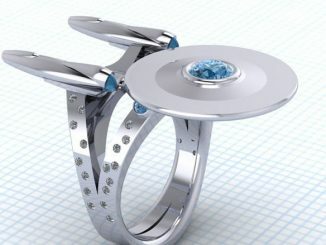 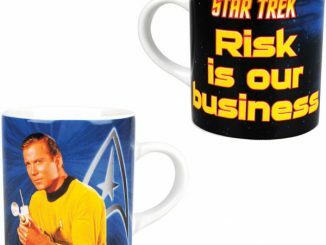 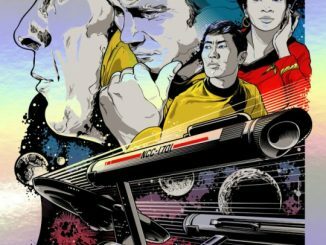 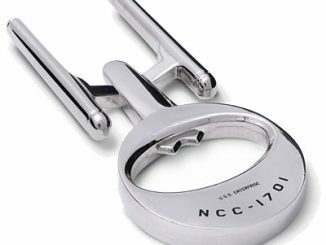 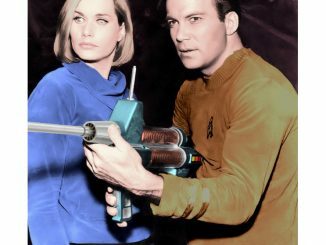 They are a cool gift for your fellow Star Trek fans. 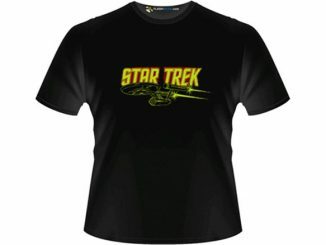 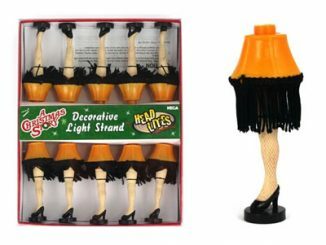 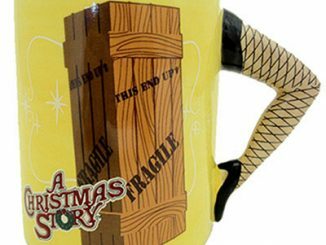 Kirk would wear them.